Zdravstvuyte! Learn Russian Online in the comfort of your home, office, or school with our Experienced Tutors through Skype to increase your chances of finding love, friendship or job or to immerse yourself in the Russian lifestyle and culture. Do you dream of walking the streets of St Petersburg and Moscow or wish you could read the names of the delicious dishes you’ve tried in a Russian restaurant? If so, you have good reasons to learn Russian. And if don’t have a strong reason to learn the language, here are a few. Russian is spoken by largest number of native speakers in the world. Just imagine the number of friends you could make by speaking the language. Russian economy is booming. This has led to increased business opportunities. Learning Russian will be beneficial for those looking to set up or expand their business in Russian. Russian on your resume shows that you believe in your abilities, that you accept challenges. Russian could make a big difference to your career. Due to globalisation many companies are willing to hire individuals with a fair knowledge of another culture apart from their own. Russia is a country rich in history, culture, and traditions. Russia is known worldwide for its ballet, music, cinema and literature. Russian poets and writers like Dostoevsky or Chekhov are known worldwide for their great contributions to the world of literature and knowledge of Russian will enable you to appreciate the richness and nuance of their work in its original form. Looking to impress your Russian beau or your boss? 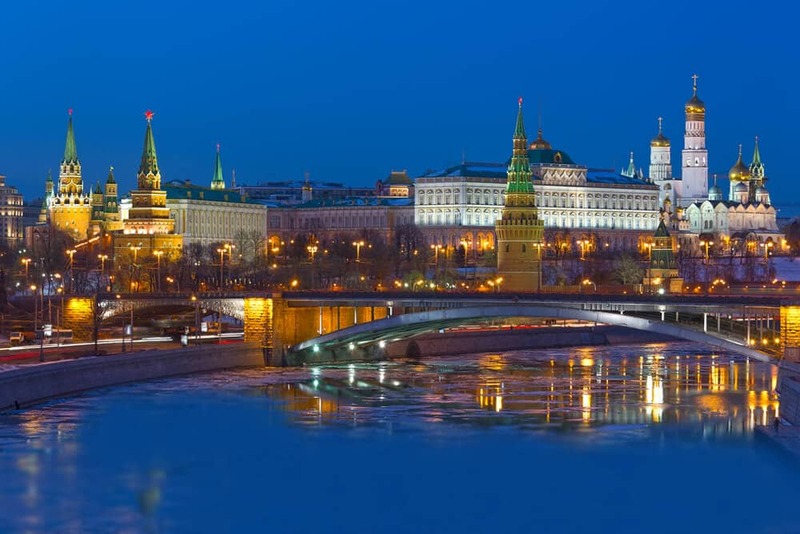 Planning to travel to Russia or want to explore Russian literature? Here is a place to learn Russian Online through Skype with our Experienced Native Tutors wherever and whenever you want. Apart from Russia itself, Russian is the number one language spoken in the Ukraine, Latvia, Belarus, Moldova, Kazakhstan and Uzbekistan to name just a few. And if you plan on traveling to any of these countries you first must consider learning learn Russian. Russian language shares similarities with Bulgarian and Serbo-Croatian. Learning Russian will help you to learn these languages easily. If you’re one of those people with a Russian spouse, there is no time like the present to learn some Russian. It will not only impress your spouse but his/her parents too will love you. The best way to learn Russian is, of course, by complete immersion. Find some genuine interest in the Russian language because it will keep you motivated during the hard moments of learning a language. Maybe that interest comes from the Russian literature, the Russian romances, or the Soviet films. Having friends who speak the Russian language fluently is also of great benefit. The best way and place to learn any language is definitely where it is spoken. However not many people have possibilities to travel to Russia. If you are one of them, remember that another important option to learn Russian is through online sites. And the best place for you to start is right here! We offer personalised one-to-one Russian classes through Skype by native tutors. All our teachers are qualified professionals who will enable you to learn Russian in a fast and effective way. You will not only learn the basics of the language but also be able to converse fluently with your Russian speaking friends and relatives. So join our Russian online language classes and learn Russian from some of the best native tutors anytime anywhere. You can now take Russian classes one-to-one using Skype with a tutor of your choice. Our Russian lessons are custom, effective, comfortable, and fun. Pick a tutor NOW! Choose anything specific. Whether it is conversational Russian classes, business Russian lessons or just learning how to greet and impress a loved one. We can help you with them all.